Professor Smart's Fun With Physics **Y.E.S! Name: Professor Smart's Fun With Physics **Y.E.S! “Fun'” is the word most used when it comes to describing the Fun with Physics Show. Trained as a juggler, physical and verbal comedian, Todd Victor brings science to life with an interactive performance combining theatrical storytelling and very cool demonstrations. His fascination with how things work and his love of comedy helps get kids excited about the sciences. He has carefully studied the scientific concepts in the shows with the help of teachers, and scientists. 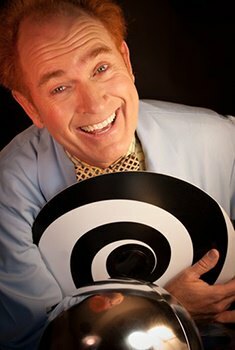 Todd has studied and performed mime, juggling, and physical comedy since 1980. He graduated with a Bachelor of Fun Arts from Ringling Brothers Barnum & Bailey Clown College. Todd loves performing, teaching, computers, inventing, juggling, tennis, table tennis and creating one of a kind props for fun-filled shows.